I’ve been hinting at a bit of a surprise over the past couple of weeks. Finally everything is in place so I can announce it! Read on for more details. Who’s got the best workout up their sleeve? We’ve decided to host a small competition on who can come up with the best workout. You can submit any of your workouts from last year or the years before or you can make up a completely new one. Here’s how it’s going to work. Trainers who wish to participate can submit workouts via the forums over one week. The rest of the Bootcamp Ideas readers then have 3 weeks to try out the workouts they like the look of and vote on them. The workout with the most votes wins. 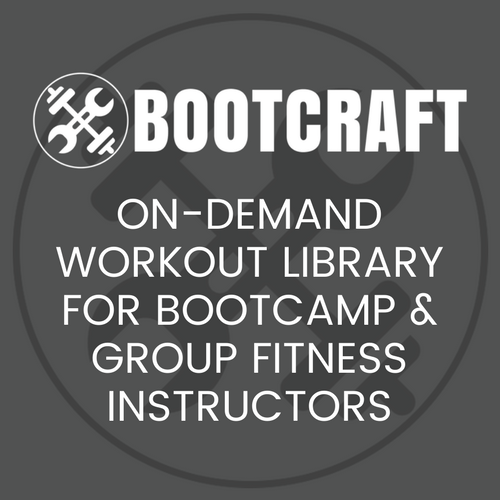 The awesome sponsors for this competition are the Bootcamp Alliance and Bootcamp Workout Ideas. Both have been very kind in arranging some great prizes for you. The second place winner will receive the left over prize from above. EDIT: I realised that some of you who want to enter may already own one or more of these products. Rest assured that if you win and you already own the product you will still be looked after. Most likely with a voucher of equal value to a store or program. Workouts can be submitted from 9.00am tomorrow, (Saturday 28th January 2012) and will close 11.59pm EDT Friday 3rd February (03/02/2012). Workouts can be voted on from 9.00am EDT Sunday 5th February (05/02/2012) until 11.59pm EDT Friday 24th February (24/02/2012). Winners will be announced on Sunday 26th February (26/02/2012) via the website and our Facebook page. Create an account on the community forums. All workouts submitted within the appropriate dates will be considered. Only one workout submission per trainer. Workouts should take 45-60 minutes to complete. Warm ups and cooldowns should be included. Please do not submit just drills. Any unknown/unusual exercises should be described or have links to websites/videos that describe them. If you would like to submit a workout that you have already submitted to the site before, to keep it fair I’ve decided that you may modify this workout and submit it to the competition. This isn’t an official competition with pages and pages of fine print. This is something fun I thought we could all do to get the community rocking. There is however a few terms that you should agree to before submitting. The winning workouts will be featured on the blog (with links back to your site). Votes will be counted from three places. A poll on the blog and a poll on the community forums will be provided. In addition, the number of replies to a workout thread will also be added, excluding replies by the author. You can vote in one or all of these places. Note: Replies sent before the voting commencement date will still be counted. In the case that there is an unusually high number of workouts submitted, I will shortlist them with the help of a few impartial trainers. I will judge them by how innovative they are and how easy they are to follow. This is a community competition so if you feel I’ve been unfair or I’ve missed something out, please pop it in the comments below. I look forward to seeing some great workouts!